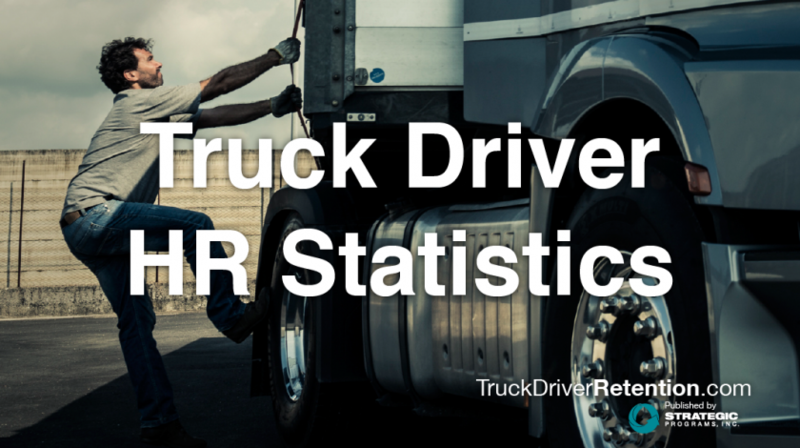 It’s no secret that transportation companies are experiencing difficulty recruiting and retaining drivers. But staffing issues in these organizations aren’t just about the lack of drivers. There’s another issue impacting fleet efficiency: the technician shortage. Projections indicate that there are thousands of these positions already open and tens of thousands more anticipated by 2021. Inspecting, repairing, and maintaining the fleet is the responsibility of technicians—it’s no surprise that when fleet maintenance breaks down, so does the entire operation. A shortage of technicians means it takes longer for trucks to get fixed and back on the road. And once they do, it can be just in time for something to go wrong with another truck. This often results in fleet managers having to handle complaints from overworked mechanics, frustrated drivers, and less-than-happy customers. What are the reasons behind the technician shortage? Some of the shortage is due to a lack of interest—young people aren’t looking for careers as diesel mechanics. Many industry leaders believe this is due, in part, to a negative perception about technical careers. While high schools stress the importance of a four-year college degree, advisors and teachers aren’t talking about the benefits—and long-term career options— that a vocational education provides. Unlike other professions, diesel techs are responsible for purchasing their own set of tools. When a full set can require a budget in upwards of the tens of thousands, this adds a significant financial burden to a tech entering the field, considering the tuition they are already faced with. Another issue that impacts the shortage is the increasing complexity of engines and other truck equipment. It takes significant training for a diesel tech to be ready to jump on the shop floor, and trade schools simply can’t keep up with the cost of getting the new technology in place for the purpose of training. Furthermore, many equipment manufacturers aren’t willing to share information about their proprietary diagnostic systems with vocational schools. As a result, technicians graduate without all of the training required to start their career, and when they do get a job it can be frustrating, if not overwhelming. How can you recruit and retain the techs you need to maintain your fleet? ● To find young technicians, get active on social media and use it as an integral part of your recruitment strategy. ● Make sure your outreach includes connecting with military veterans. Most military equipment operates on diesel, and retired military mechanics will have a good level of understanding and familiarity regarding how these engines work. ● Don’t wait until techs have graduated to start recruiting them. Be an active supporter of the program at your local trade college. You’ll gain access to up-and-coming mechanics, as well as ensure that the vocational program is providing robust training for your future workforce. ● As part of your recruitment strategy, consider providing a starter toolbox that techs can purchase with a payback plan. ● Recent trade school graduates may need additional training once hired. Consider covering the cost for industry classes, or set up a mentor program in which more tenured techs can pass on their skills to those just entering the workforce. ● Productivity is critical to an efficient operation. If your budget allows, consider offering techs who are fast workers a commission or bonus, in addition to their regular wage. ● Ensure that your benefits package is competitive regarding health insurance, paid time off, wellness perks, and flexible shifts. Making even a small adjustment in what you offer may make the difference between a tech deciding to stay or leave. ● Look for simple ways to provide ergonomic benefits. Check the air quality in the shop; if there are issues, address them and let the team know what you’ve done. Determine how you might be able to improve the lighting. Find out what it would cost to resurface the floor. Upgrades in the shop will make it a more appealing atmosphere and can have a positive impact on your techs’ health. ● Develop unique job positions and provide career development opportunities so that techs have a way to feel like they are advancing year after year. ● Just as it’s important to maintain contact with drivers, it’s crucial to have regular contact and communication with techs. Make sure that service managers understand the importance and benefit of regularly communicating with the shop team to address and solve issues. ● Recognize the effort of all employees – including technicians, drivers, and the team in the office. Be sure you appreciate everyone for their hard work, whether that’s providing lunch every month, throwing an annual summer barbecue, or celebrating work anniversaries. People want recognition for a job well done and are more likely to stay with an organization if they feel appreciated. Simply put: ignoring the technician shortage negatively impacts the efficiency of your company. If these staffing issues aren’t addressed maintenance costs, downtime, and negative morale will only increase. By taking steps to assess job requirements, provide training, as well as offer excellent benefits, rewards, and compensation, you can quickly become the employer of choice for technicians throughout the industry.